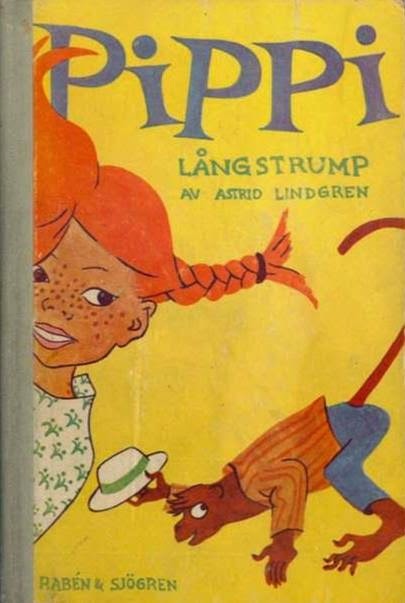 After travelling the seas with her father--who was washed away in a storm--Pippi Longstocking takes a suitcase of gold and her pet monkey, Mr. Nilsson, to live on her own in Villa Villekulla. She soon becomes friends with her very polite neighbors, Tommy and Annika. The two soon grow to admire Pippi and her fearless antics, outspoken opinions, and spirited enthusiasm as they go on adventures together, including school, the circus, and a birthday party. They can always count on Pippi to do the unexpected. She's traveled the world, had very little formal education, and grown up around a bunch of sailors; she's very eccentric. And weird. The book is weird. And yet...her fearlessness and unabashed antics do elicit some admiration. She's a superhero in her own right. She does what no one else can, and thus, she is a beloved classic character. I'm glad I finally sat down to read it through. I think kids can still enjoy it today. Each chapter is a short story in itself, so it's great for teachers to read aloud to a class (works for 2nd or 3rd grade), to read as bedtime stories at home, or for beginning chapter-book readers to try on their own. It's a classic, it's funky, and I like it.